Morning TSG! It's become a tradition! 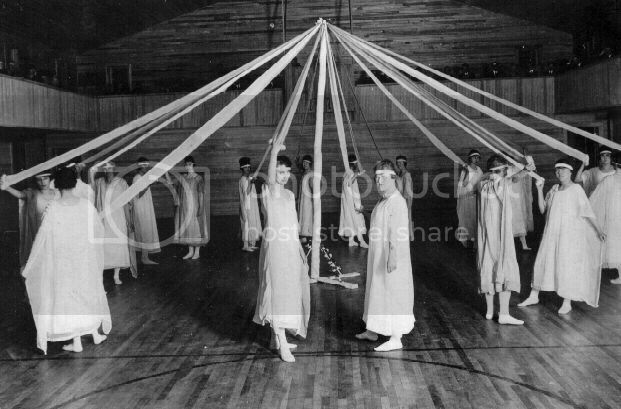 maybe maypole is a euphemism. just a thought! my!!!? olivia newton john on wfmu !!! I didn't think this was all of 11 years ago! I know, right! They all grown up now. Love the show Julie! Great way to start my day. Hey, thanks Edward! Such an earrrrly start. It's much easier for me to stay up till 4 instead of get up at 4.
looks like i will be locked in to the station till 2.pm as that when i can see the dentist .... let's dance !!! What it's there now, 9:30? This is definitely one of my favourite ABBA songs! Best thing this country ever exported. Oh I love Abba..and yeah, that's definitely one of my favorites. Hey there Jeff in Hawaii! You are very pop-y this morning! like it! It's a dance party, Meghan! And I'm on my way out..thanks for listening you guys, The Laurels next week! thanks for a nice show! One Night in Bangkok - wow. Been a while! Time to dance!! Does Your Mother Know? Good show Julie - thank you & have a great week!